Festive Kabbalat Shabbat (Sabbath) service and dinner, welcoming the rabbis back to Temple Beth Israel. Shabbat service and luncheon. The five rabbis, together with TBI’s cantors Ellen Band and Yossi Weintraub, will participate in the service. Following lunch, the rabbis will share memories of their time in Waltham. Havdallah and dessert reception. After Havdallah (the beautiful, brief service marking the end of Shabbat), we will enjoy a short rabbinic teaching, slide show, conversations, and informal music with TBI’s musicians, as well as delicious desserts. During the late 1800s, a large number of Jews made Waltham their home. There was no synagogue at that time, so they began by conducting services in their homes. In the early 1900s, when the group grew too large to meet comfortably in their homes, they bought a house on Harvard Street, gutting and renovating it as a traditional Orthodox shul. There was a balcony for the women and children and the men sat below. After 50 years of growth and change the members of this community again remodeled. This time, the entire sanctuary was put on the main floor — permitting men and women to sit together — and several classrooms, along with a kitchen and activity room, were added downstairs. The congregation again modernized the building in the 1960s, and it is here that the current TBI continues to thrive. The public is welcome to any and all portions of the weekend. For more information, and to register and pay for the $18-per-person dinner, go to http://tbiwaltham.org/rabbis-of-waltham, call the TBI office at 781-894-5146, or mail a check to Temple Beth Israel, 25 Harvard Street in Waltham, MA. Other than the dinner, all of the events are free of charge. All events will take place at Temple Beth Israel, 25 Harvard Street, Waltham, MA. Members of the media are welcome; please note that photography and videography are not permitted during Shabbat, sundown Friday through sundown Saturday. 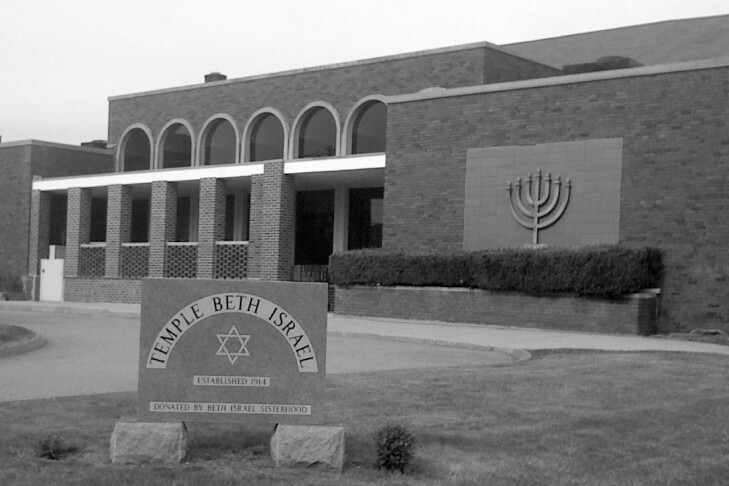 Temple Beth Israel is an egalitarian, traditional, friendly, unaffiliated synagogue that has served the Jewish community in the Waltham area for 100 years. Visit the TBI website at www.tbiwaltham.org .